Has the hot sun ruined your deck and fence? No one wants to host a brunch or party on a deck that is lackluster. Stripping, sanding and staining a deck is a ton of work and homeowners need to ensure the job is done properly the first time. 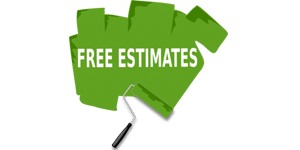 Allpro Painters restores decks and fences of all sizes and colors. Prior to refinishing, our experts will properly clean all wood with a 10 to 1 bleach solution in a pressure washer and repair any broken damaged boards.